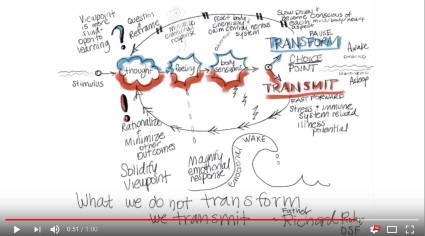 Dr. DeFoore's Healing Anger Newsletter entitled "Transform It Or Transmit It"
How Does Transforming It Prevent Transmitting It? How Do I Transform My Anger & Pain? You know the old saying, "Every time you point a finger in scorn—there are three remaining fingers pointing right back at you." Well, that's what we're talking about here. It's called projection. Think of it like this. You've got your own internal pain, fear and anger, like everybody else. You've got a strong desire to "work it out." If you're not looking at yourself & trying to resolve your internal issues, you're going to try to work it out by projecting it onto others, or stuffing it inside to your own detriment. It's as simple as that. Things happen to all of us. We get hurt by abuse, neglect and/or abandonment, and we put it behind us and move on. But that pain, fear and anger doesn't just sit there "behind us" idle...it wants out. It's actually how we heal...we work the problem out so it's not eating at us inside. If you don't consciously do something about your internal trauma, it will find a way out on its own, and it's never in a good way when that happens. If you do work through things and transform your pain and anger, there's no need for the subconsciously held trauma to find its way out in a dysfunctional way. When you don't take care of your internal business and transform your stuff, it gets transmitted as anxiety, depression, anger and even illness. 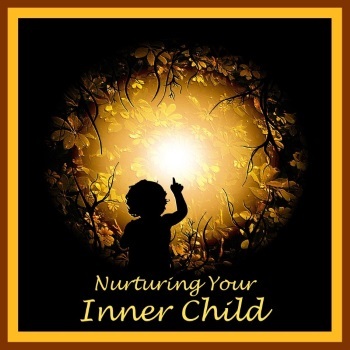 Here's a good way to get started, with the healing your inner child program, which is an excellent beginning to transforming your internal issues. Another quote you may be familiar with is, "As within, so without." It's ancient wisdom from Hermes Transmegistus and it's just as true today as it was all those years ago. One of the reasons this approach of looking at yourself and transforming your own anger & pain is not so popular is that most folks prefer to take the victim position, and that means blaming others while nursing your wounds, not healing them. First you need to know your story, which you can start with this journaling exercise. Believe me, you're going to like transforming it far better than transmitting it. You either work on your stuff, or it works on you...and when it works on you, it's not pretty. Make a list of your personal pain and trauma, starting from early childhood. List the beliefs and behavior patterns that resulted from it. 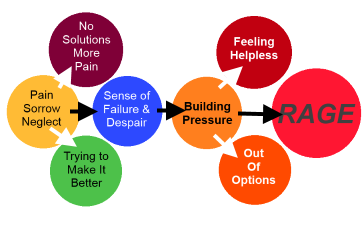 Use these imagery processes to begin your emotional healing - that's the transformation part. Work on your emotional intelligence skills, to make sure you have good social awareness and relationship management skills. It's simply a matter of tending to your own business before getting too caught up in the business of others. It just makes good sense. Get some excellent guidance on doing your inner work in Robert Johnson's book, Inner Work. This highly effective audio program, available as a CD or MP3 download, will help you heal old emotional wounds and clear up unresolved issues from your past..
New web pages for you. Read new contributions from good folks like you, such as, Overwhelming Feelings Of Anger by Sophie from London, and Is It Worth Trying To Save? by Maddy from New York, who is wondering whether to keep trying to save her marriage that is on the rocks.